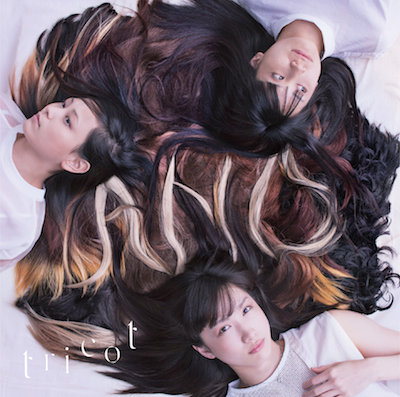 Tricot, the Japanese all-girl trio that mixes complex, irregular rhythms with a soft, pop sound came back to Europe in early 2016, so I did an email interview with them before the tour and asked them about music, drummers, their previous tour in 2014 and the album they released since. Your music is quite eclectic, but people usually put you in the ‘math rock’ category. Are you comfortable with this? And if not, how would you describe your music? Motoko “Motifour” Kida: I don’t care if people put us in that category. But I would rather say that our music is “jumbled rock”. Math rock bands are usually pretty much underground acts and distance themselves from pop music. Yet, your music has a huge dose of pop-influence and you mix those complex rhythms with sometimes very lighthearted melodies. How did you come up with this unique combination? Ikkyu Nakajima: We don’t have any intention to either make and do Math Rock, or avoid Math Rock. We just like Pop music too and our music is what “naturally” comes from us. 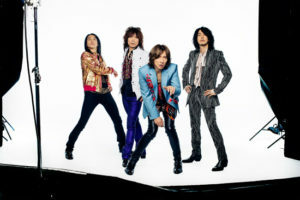 What do you think, why Japanese bands seems to be especially keen on mixing different kinds of music styles? Do you have a different approach towards music? Hiromi “Hirohiro” Sagane: I don’t know, but I never think about music styles. We just do whatever we want to do. 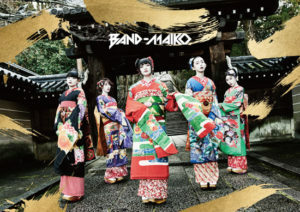 What were your main musical influences from both Japan and overseas music scenes when you started out and what bands do you like to listen to nowadays? Motifour: My personal main influences were Japanese bands such as Number Girl, ACIDMAN and Japanese female singer Sheena Ringo. From overseas music scenes, I used to listen to The Eagles, Earth, Wind and Fire and so on. And I listen to tUnE-yArDs nowadays. After your former drummer left in 2014, you ended up recording your second full album, A N D with several guest drummers. How did you choose them and who will you bring along for the European tour? 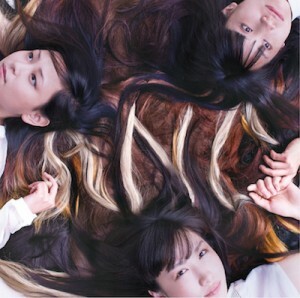 Ikkyu: Under the negative situation that the drummer left the band, we could go further to the next step to the “new Tricot” in terms of both musical and mental aspects by doing sessions with many drummers. Each member tried to think and name drummers who we respect and wanted to play with, and asked them to join in the album. In the coming European tour, Miyoko Yamaguchi (formerly of Detroit7, that also toured Europe several times a couple of years ago), who has been supporting us, will come with us. Do you plan to get a permanent drummer again or you prefer to stay a trio? Hiromi: We want a permanent drummer. Your second album was even more diverse than its predecessor, was it mainly because of the different drummers or were you deliberately going for a more varied sound? Kida: Yes, I think it’s because we played with the different drummers and also, that diversity was naturally born from the environment at that time. Your lyrics are in Japanese, so most fans over here in Europe do not understand them. So could you tell us about them a bit? What subjects do you usually deal with? Ikkyu: I put an importance on the aesthetics of the words. It’s not like there is a specific theme or subject on lyrics. I think it’s about expressions of sensitive emotion which is distinctive for Japanese people. Writing lyrics is a final step for our songwriting, so there are often cases in which words come from the sounds of the tracks. How did your first European tour happen? Were you invited here by a tour promoter or did you set up the tour for yourself? Hiromi: The organizer of Pohoda Festival in Slovakia invited us to come to Pohoda, and he supported us for adding more festivals around Slovakia. 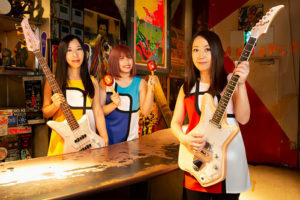 Afternoon music clubs in schools seems to play a very vital part in Japan’s music scene: as far as I know Tricot also has its roots in a club like this and there are many other rock bands that started out the same way. There were even some popular films about the subject (Swing Girls and Linda Linda Linda). Could you tell us about these clubs and do you think they play an important part in why Japan has a very vivid music scene? Motifour: Many students try to copy famous artists first in afternoon music clubs. And then, some of them start to write songs. Japanese people are good at copying and getting musical input from it, so copying is the first step. Japan is known as a pretty much male-centered society. Is it more difficult to succeed as an all-girl rock band, or gender isn’t that much of a factor in the music scene? Ikkyu: Gender doesn’t matter. Male has good points that only male can have, and female has good points which male cannot have, so there is no good or bad through music. Even though you are getting quite popular, you decided to keep on releasing and managing everything by yourself, instead of signing to a big record label. Why did you decide to stay away from record companies and is it difficult to work and succeed outside the company system? Hiromi: It’s because we can focus on what we really think is cool. There might be a disadvantage on funds sometimes, but nobody can succeed just because they belong to major record companies. I believe our music can reach many people by coming up with ideas together and doing interesting things. You already played in Hungary back in 2014 at VOLT Festival, do you have any special memories from that show? Motifour: I didn’t do that myself, but Ikkyu and Hiromi went down the big water slide next to the main stage. It was impressive. Disclaimer: this interview was originally arranged for soundofjapan.hu.